Going back this year has been very very very very very very---different!!! After 18 EIGHTEEN 18 years as a third grade teacher - I made a huge switch. 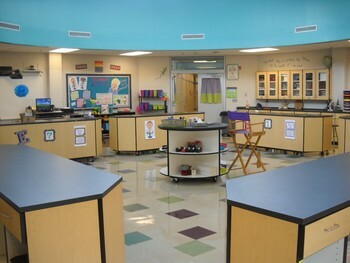 I am now our schools STEM Lab teacher, serving 17 classes of third through fifth graders. So far, it has been awesome and most definitely very different. You have to admit that it's totally awesome!! Okay, well the reason for this post is two-fold--- first a repeat of a very popular pin I added to Pinterest last year. It is also an activity I repeated in the lab this year as it was very eye-opening for kids last year. I knew it would be again. 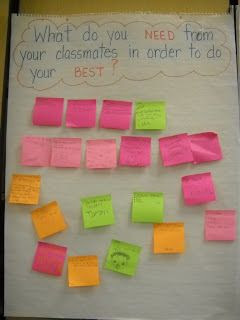 It's an anchor chart titled: "What Do You Need from Your Classmates in Order to Do Your Best". Kids write their thoughts on a post-it and share their feelings. Pretty profound stuff! 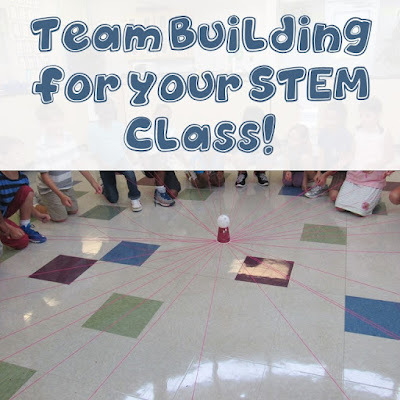 If you need more ideas about Team Building you can click on the links below! Have a great year in your STEM lab! That first day sounds kind of awesome to me. ;) My kinders always bring their supplies in an enormous backpack and I spend the say thinking that I need to sort those things sometime! Your room looks great!